New Delhi: Today, “Infra Awards 2018” was held in the national capital in presence of Amitabh Kant, Chief Executive Officer, NITI Ayog, GOI. L&T Ltd. won this year in the category of Construction & Infrastructure Development. NTPC Ltd. in Power Generation, Bharti Airtel in Telecom Services, Adani Ports in Ports, and GAIL (India) Ltd. in infrastructure finance company among others. 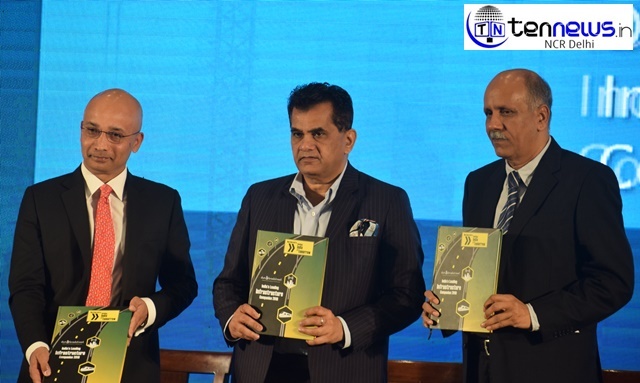 The event witnessed the unveiling of the 11th edition of the publication “India’s Leading Infrastructure Companies” and saw thought leaders from the infrastructure sector come together to speak at the occasion. Niti Ayog and Dun & Bradstreet Host 'Infra Awards 2018' in Delhi!